One wonders just what it is that the Philippine Charity Sweepstakes Office, along with senators allied with Noynoy, wants to achieve by way of focusing on the vehicles, said to be Sports Utility Vehicles (SUVs) granted to the bishops, if, in the first place, these are used by them to help the poor and the needy? Is it the aim of Noynoy’s PCSO to cut off all these “charitable” projects to the clergy that incidentally, have been in practice for decades — and especially during Cory Aquino’s time when a lot of government funds were invariably channeled to Caritas and other religious projects? For Noynoy and his Palace aides, a denial by any of them should be taken as gospel truth. Thus, when they say that Noynoy already sold his Porsche, but refuses to say to whom he sold it to and when, as well as refusing to say who had sold him his claimed second hand Porsche, those statements have to be taken as gospel truth, because they said so. In much the same way, Malacañang yesterday stated that Noynoy does not have a top of the line, bullet proof BMW SUV; that he had never been given this as a gift, because Noynoy is not the type to accept gifts. BALA POOLS — It’s home to the world’s second largest migration of animals, an epic movement of antelope through some of Africa’s most pristine wildernesses. But there is not a single tourist in the vast expanse and stunning scenery of Badingilo National Park to see it — not yet, anyway. South Sudan, which will become the world’s newest nation on Saturday, is opening up after decades of brutal war, which killed some two million people and left its infrastructure in ruins. Wildlife also suffered but many populations did survive, and now the fledgling government is working to conserve and develop what remains. MANILA – More than 400 members of people’s organizations from at least 40 countries gathered together to come up with common efforts in building a brighter future. The Fourth International Assembly of the International League of Peoples’ Struggle (ILPS) formally opened today at the Ciudad Christia Resort in San Mateo, Rizal. With delegates representing more than 300 grassroots organizations from all continents, the assembly is the biggest since 2001. It will last until July 9. 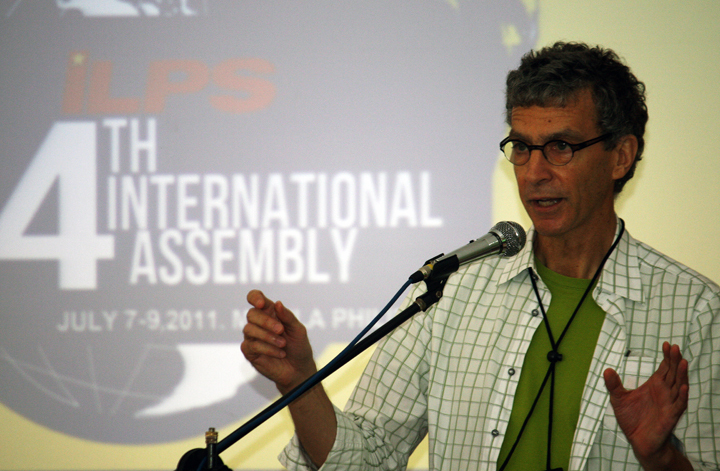 The ILPS was founded in May 2001 at Zutphen, the Netherlands. With the theme, “Build a Bright Future! Mobilize the People to Resist Exploitation and Oppression Amidst the Protracted Global Depression, State Terrorism and Wars of Aggression!” the Fourth International Assembly coincides with the tenth year of the League. MANILA — Activist from India Malem Ninsthoujia is indignant. It is the day after the Supreme Court issued its decision scrapping the Stock Distribution Option (SDO) scheme in Hacienda Luisita and he echoes the anger of farmers from Central Luzon and everywhere else in the country in saying that the High Court’s verdict is deceptive. “The farmworkers of Hacienda Luisita demand that they be given control and ownership over the land so long denied them by a fake agrarian reform program. 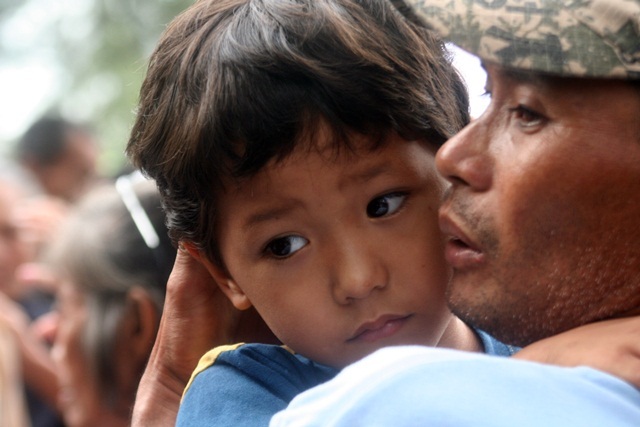 The Philippines’ justice system leaves much to be desired when it comes to upholding the rights of farmers,” he said. Then he directly addressed the audience comprised of farmers, peasant leaders and agrarian rights advocates. Peasant leaders and agrarian reform advocates from India, Nepal, Sri Lanka, Malaysia, Indonesia, Pakistan, Argentina, Kenya, Cambodia, Senegal, Cameroon, Burundi joined their Filipinos counterparts in the first “International Speak Out Against Global Land grabbing” held in Quezon City. In a lively protest and program in front of the Department of Agrarian Reform (DAR) offices, the internationalists expressed strong solidarity with Filipino farmers and the rest of the Filipino people in pressing for immediate reforms. 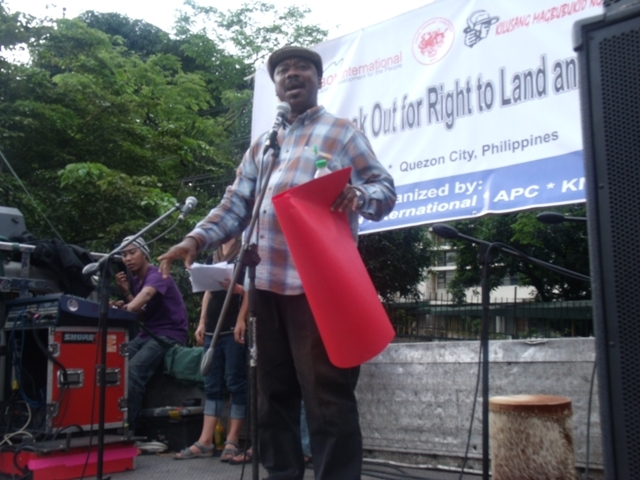 The rally and Shout Out activity were also parts of two international activities, the International Festival for Peoples’ Rights and Struggles and the 4th Assembly of the International League of Peoples’ Struggles. Nepalese activist Balram Banskota of the Asian Peasant Coalition (APC) said farmers in his own country have learned through the years to be more aggressive in pressing for their democratic rights. He said that the radical political upheavals in Nepal have served to strengthen the farmers’ movement in the country. According to IBON data, TNCs account for 50 percent of all oil, gas and coal extraction and refining. Only 10 TNCs account for about 41 percent of world production of oil and gas, and TNCs control 80 percent of land worldwide which is cultivated for cash crops. Only 20 TNCs account for about 90 percent of the sales of hazardous pesticides and other agricultural chemicals. As one of the activities of the International Festival for Peoples’ Rights and Struggles (IFPRS) which ran from July 5 to 6 in the Philippines, environmental networks held a forum dubbed “the Current Challenges of Climate Change” in Quezon City. Organizers said that they wanted to raise awareness on the science and politics of climate change as well as present critiques on the various responses to climate change. Guests from New Zealand, Cambodia, India, Bangladesh and Uzbekistan shared how their respective countries deal with climate change and its devastating effects. Dr. Timote Viaoeleti of Impact New Zealand shared that it was also urgent to address the issue of climate change because of its impact on the cultural life, heritage and history of peoples. “This loss is not quantifiable, and what has been destroyed can never be restored,”he said. He explained that the massive floods that hit areas like Kirabati, Rarotonga, Somoa and Fiji destroyed more than the terrain and the livelihood of residents, but also the burial grounds and ancestral lands of the people. The other effects of climate change such as coral bleaching, soil erosion, decreased water supply, storm surges, ocean acidification also alter the face of New Zealand and with it comes the destruction of cultural history and the people’s emotional connection to the land. MARAMAG, Bukidnon — For Winnie Loable, 36, their struggle for the land they have been tilling is not just a matter of securing the future of his family, it is also about honoring his father and seeking justice for his death. Leonardo, Loable’s father, was among those who were hired by the Central Mindanao University to till parts of the 3,084 hectares of land. The agricultural workers made the idle lands productive by planting it with rice. When the CMU went bankrupt, the farmers continued to cultivate the land and paid a rental fee per square meter. In 1986, peasants formed Buffalo (Bukidnon Free Farmers and Agricultural Laborers Organization) and petitioned for the inclusion of the 1,200 hectares of the 3,084 hectares of land they were tilling in the Comprehensive Agrarian Reform Program of former President Cory Aquino. Two more groups of farmers formed Tamaraw (Triad Agricultural Manpower of Rural Active Workers) and Limus (Landless Tillers Inhabitants of Musuan) respectively, and staked their claim on another 1,200 hectares of land. Hence, when these three groups of farmers banded together, they called themselves BTL. Despite the scandal plaguing the Philippine Charity Sweepstakes Office, past and present, there will be no [privatizing the PCSO and the Phiippine Amusement and Gaming Corp.(PagCor) for the simple reason that President Aquino will be denied his huge unaudited pork barrel, the presidential social fund (PSF). And there will be no investigation of the current PCSO chief, Margarita Juico, on allegations of anomalies in the current charity office, as well as allegations of her having obtained some P27 million when she was still a director in the same office, with Malacanang saying that her denial of all these alleged anomalies is more than sufficient proof for Aquino. There is now a case of the missing P5 million, since former Philippine Charity Sweepstakes Office chief Rosario Uriate claimed that she had given a foreign affairs official P20 million in cash from its intelligence fund for “blood money” payment, while the diplomat said only less than P15 million was given by PCSO and not in cash, but in manager’s checks. A senior Foreign Affairs official yesterday denied personally having received a P20-million donation from the PCSO that was used as blood money payment to save three Filipinos from death row in Saudi Arabia. The militant Kilusang Magbubukid ng Pilipinas (KMP) yesterday accused the Office of the Solicitor General (OSG) and the Department of Agrarian Reform (DAR) for appearing to be “in collusion” with President Aquino in withholding its official stand on the agrarian dispute involving Hacienda Luisita, a vast sugar estate owned by the President’s family. “Up to now, Luisita farmers still have to hear a word from the OSG and the DAR on what steps they are going to take. The DAR and the OSG appears in collusion with the President in hiding the administration’s official stand on the Hacienda Luisita issue,” said KMP secretary general Danilo Ramos. Senate President Pro Tempore Jinggoy Ejercito Estrada yesterday urged the government to fight tooth and nail to keep jobs in the Kingdom of Saudi Arabia as well as in other destination countries available to Filipino workers. At the same time he wanted to strengthen industries in the country to be able to boost and expand local employment. “Our government should exert all efforts to provide overseas jobs, as well as local employment, to our countrymen,” said Estrada, concurrent chairman of the Senate committee on labor, employment and human resources development and the congressional oversight committee on labor and employment (COCLE). The Office of the Ombudsman has created a special panel which will investigate allegations of misuse of the intelligence funds of the Philippine Charity Sweepstakes Office (PCSO) during the administration of former President and now Pampanga Rep. Gloria Macapagal-Arroyo. In an e-mailed statement, acting Ombudsman Orlando Casimiro said the anti-graft office would start looking into the alleged misuse of intelligence funds of PCSO during the time of President Aquino’s predecessor and to find out who should be held criminally liable. Casimiro said the special panel he formed would focus mainly on the manner by which PCSO funds were disbursed. He, however, declined to reveal the identities of the its members. Retired Army general Jovito Palparan has formally denied he ordered his men to abduct Sherlyn Cadapan and Karen Empeño, two student activists who disappeared five years ago. He added his critics only label him as a butcher to give him a bad reputation.